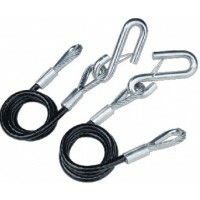 Welded, zinc plated solid steel chain links with 2 S-hook safety clips. Safety chains can prevent ru..
Zinc plated steel. Use between trailer and vehicle to prevent separation if trailer inadvertently co..
Zinc plated. Welded link chain with safety hooks. Size: 7/32" x 36"GTW: 2, 000 lbs.Receiver: Class I..
Zinc plated. 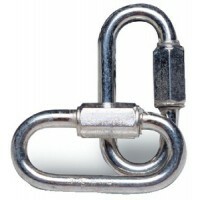 Welded link chain with safety hooks. 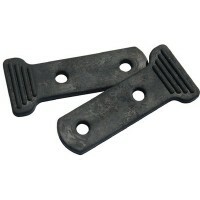 Size: 1/4" x 42"GTW: 5, 000 lbs.Receiver: Class II..
Black vinyl covered durable galvanized aircraft cable construction. Cables exceed SAE J684 standards.. Ideal for use with trailer chains. Zinc plated. Card: 2Size: 1/4".. Ideal for use with trailer chains. Zinc plated. Card: 2Size: 3/16".. Ideal for use with trailer chains. Zinc plated. Card: 1Size: 3/8".. Ideal for use with trailer chains. Zinc plated. Card: 1Size: 5/16".. These patented safety chain keepers attach easily to the "S" hooks to keep your chains secured to th..
Zinc plated trailer chains with S-hooks. 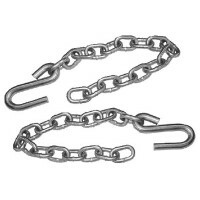 Pack: 2Size: 3/16"Length: 36"Receiver: Class II..
Zinc plated trailer chains with S-hooks. 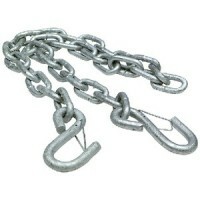 Pack: 2Size: 3/16"Length: 31"Receiver: Class II..
Zinc plated trailer chains with S-hooks. Pack: 2Size: 1/4"Length: 31"Receiver: Class III.. Replace your noisy chains with self-coiling hitch cables. 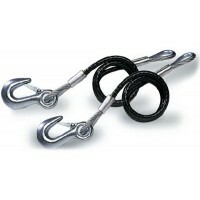 Black vinyl jacketed cable with safety lat..
Zinc plated trailer chains with S-hooks. Pack: 2Size: 5/16"Length: 40-3/4"Receiver: Class IV..